Coupons can help you to save big on brand name laundry detergents. Fortunately, there is no shortage of places to find laundry detergent coupons. You want coupons and manufacturers want loyalty, so they are willing to trade. In exchange for your email address and permission to send you marketing materials, several makers of laundry detergents will provide you with high value coupons. Tide and Purex both invite you to join their email lists in exchange for occasional coupons. Arm & Hammer allows you to print coupon directly from their website. Visit Proctor & Gamble's coupon page to print coupons for Tide (as well as other P&G products). Check the websites and social media sites of your favorite detergent brands to see if coupons are available either for download or in exchange for joining a mailing list. Coupons also arrive routinely in the mail and inside newspaper coupon inserts. People on social media sites like to share the wealth, and many are pleased to let you in on their latest coupon finds. Tap into these circles, because collectively the groups can unearth more deals than you ever could on your own. Pinterest is a veritable gold mine of laundry detergent coupons. 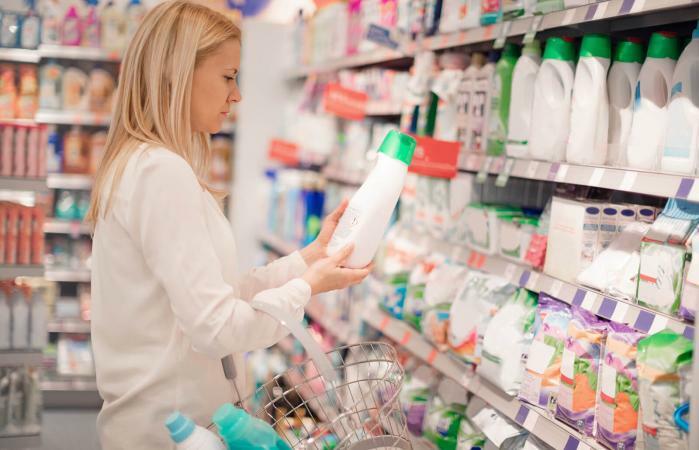 The coupons users' post are constantly changing, but it's not unusual to find coupons for as much as one or two dollars off brands like Wisk, Purex, All, or Seventh Generation. Some users even post notes about how to combine coupons with current store offers to receive ridiculously low prices. Twitter hashtags are your friends when searching for laundry detergent coupons. For example, #laundrycoupons brings up links to coupons for products like All and Method laundry detergents. Experiment by searching other hashtags like #fabriccare or #laundrysoap. Remember that, like Pinterest, posts change frequently. Wisk offers a one dollar coupon in exchange for a like on Facebook. Oxydol, All, Fab, and others also have Facebook pages, but locating current coupons is hit or miss. Numerous aggregator sites for coupons have popped up over the past few years. Most lead to a handful of tried and true coupon providers. Save.com allows you to search specifically for "laundry detergent" and brings up numerous posts, several of which include high value coupons. Smart Source allows you to pull up "household" coupons, which include, but are not limited to, coupons for laundry detergent. The site also features a tool that allows you to download coupons to rewards cards, if you shop at participating stores. These include A&P, Fred Myer, Kroger and several others. Like Smart Source, Grocery Coupon Network offers "household" coupons, which include laundry detergent. This site features printable coupons, as well as coupon codes for use online. RetailMeNot offers a broad range of coupons for laundry for laundry detergent. Some are printable, while others are for online use. Most of these are for a variety of store brands, and some are for reputable but hard-to-find brands. Target's Cartwheel app offers a variety of household coupons/offers, for both name brand and private label (store brand) products. Check occasionally and you'll find offers for laundry detergents. Walmart also offers a variety of coupons for both brand and private label products. The site allows you to search by category, like household, or by brand name, like Tide. Amazon offers a broad range of coupons for laundry detergent. Click the "Clip this coupon" button, and the discount is applied when you complete your purchase. These coupons are exclusive to online Amazon purchases, but many are available for free shipping, especially if you sign up for the Amazon Prime free trial. Sort through your coupon organizer, shop on a double coupon day, and pair your manufacturers' coupon with a store sale. While it doesn't happen often, some savvy shoppers have actually saved more than the cost of their laundry detergent.